Her original eyebrow was thin and positioned low, broad in shape but without much hair. One third of each eyebrow was merely coloured-filled or etched in inconsistent bold strokes. I love the challenge of redesigning the hair stroke to blend to the original hair. New and carefully defined brows frame her face beautifully now. 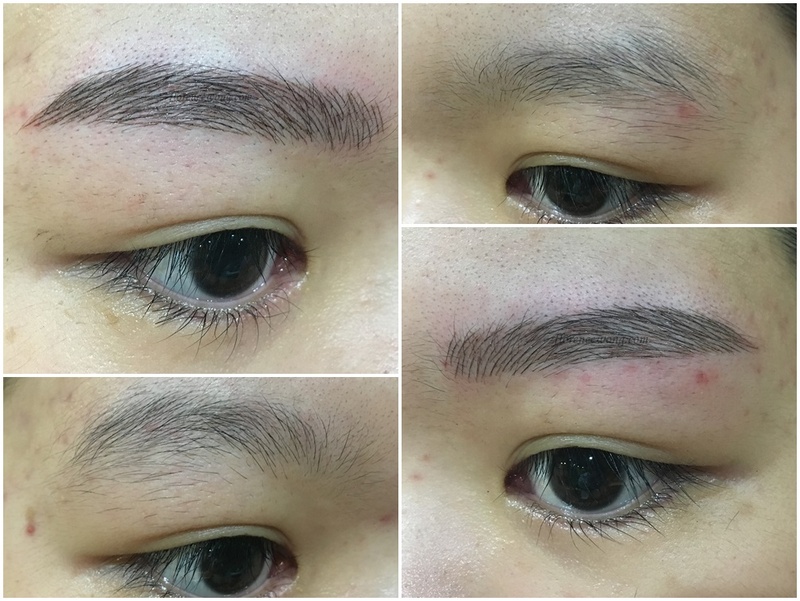 An accident resulted in scarring on one of the brows and imbalanced shape of both brows. Her eyebrows were reshaped with Elegant 3D Embroidery – the head brows were pulled closer, and the eyebrows arch were lifted slightly. An almost total new refreshed look as her features were sharpened with a Botox-like lifted appearance. She looks wonderful! A confidence boosting change indeed! 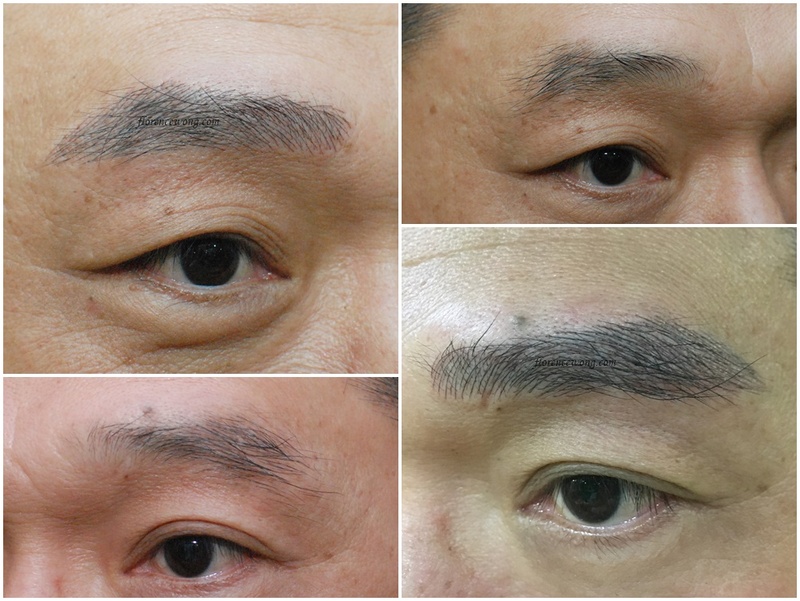 The left brow muscle is prominent, with more hair growth on the top eyebrow, which caused the imbalanced brow shape. 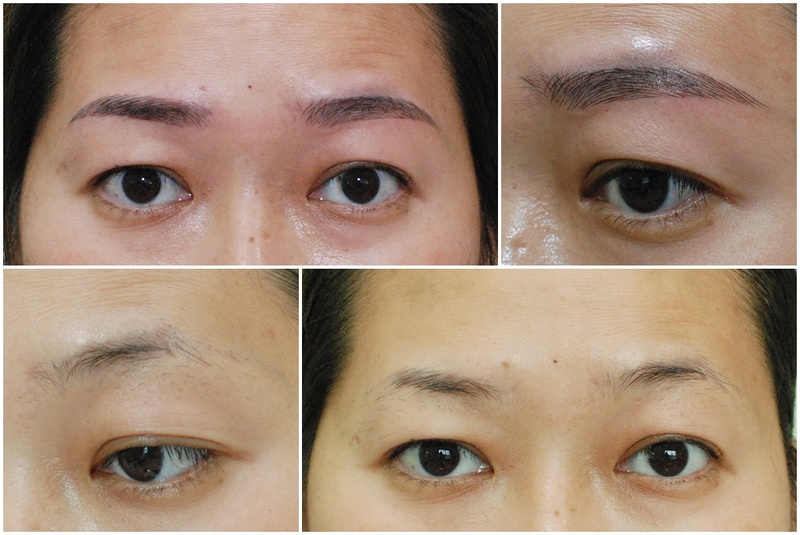 On the right eyebrow: we have embroidered more dense hairstroke designs at both the head and end tips of the brow. 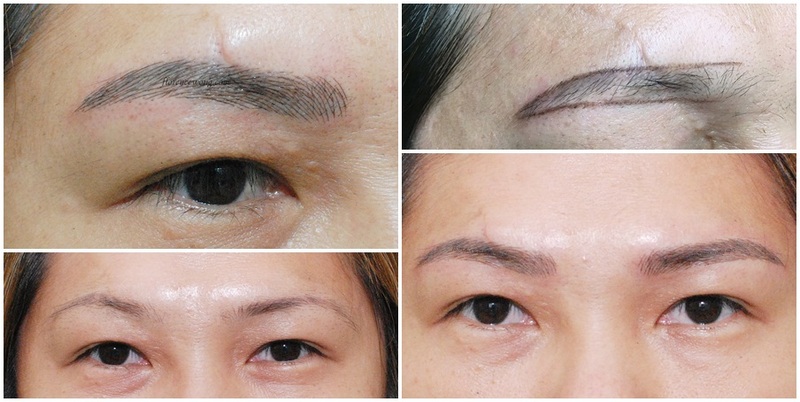 On the left eyebrow: after comparing and balancing with the right eyebrow, hairstroke design were focused onto parts of brow which lacked hair. Change and cover the color of the old eyebrow. 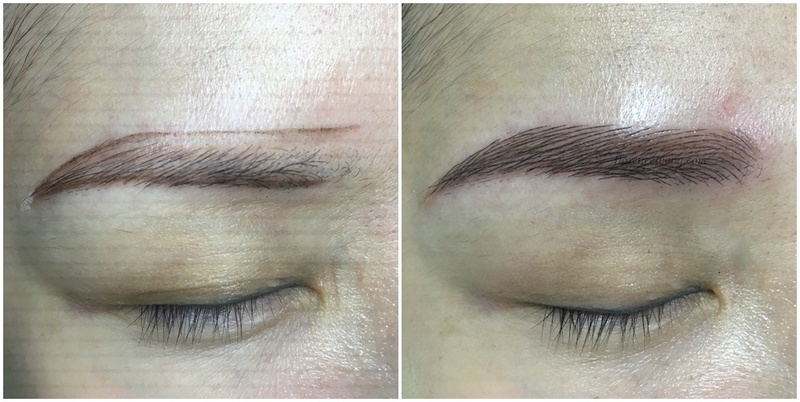 Currently too many clients who embroidered before require to change their eyebrow shape. If the new design is not affected the eyebrow, the effect will be unexpected. 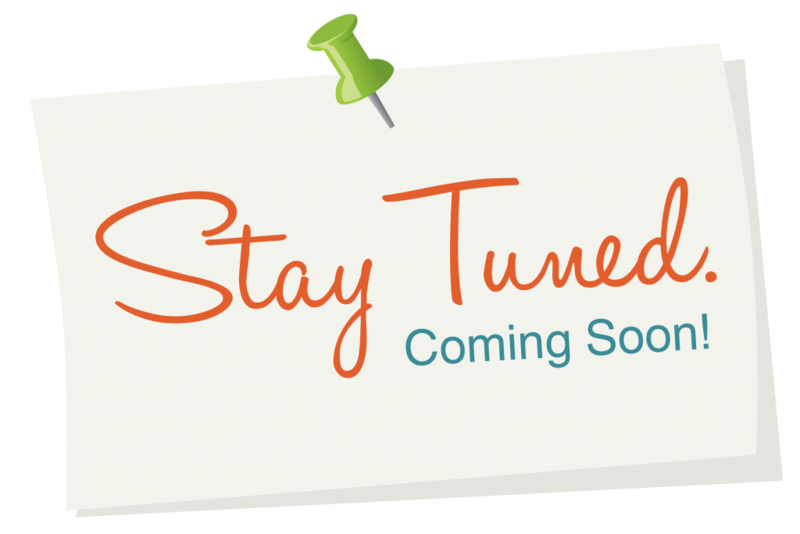 If get broader shape, there will be some part is bold or lack of hair. Play with the lines, design it like real hair. Then conceal the seeking part with skin color. Several issues we detected; both begin brows were thin, while the end brows lacked hair, with the left eyebrow being extended downwards more than the right side. Our embroidery artist designed bold strokes at the begin brows, resembling his original hair. The end brows were also lifted with deft hair strokes. All in all, his brow features are naturally enhanced. Lifting up her feature by lifting up her eyebrow shape. After got the hair fixed, then figure out how to design the hair stroke in order to blend in with real hair so that it seems like everything is real, then complete the entire eyebrows from the beginning till the end. 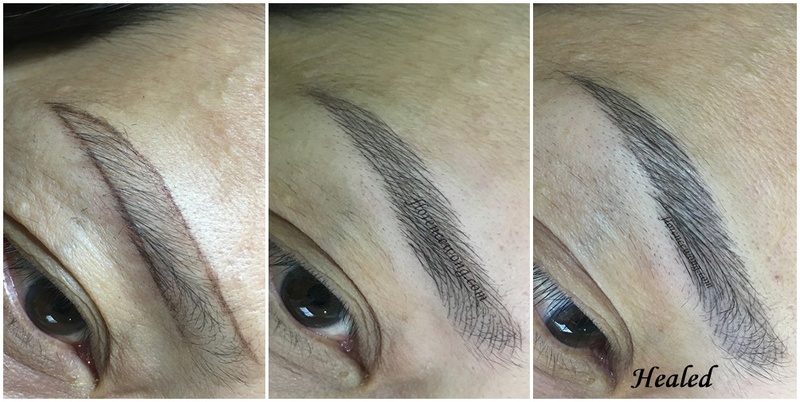 This client needed thicker brow hair as her original ones were not. 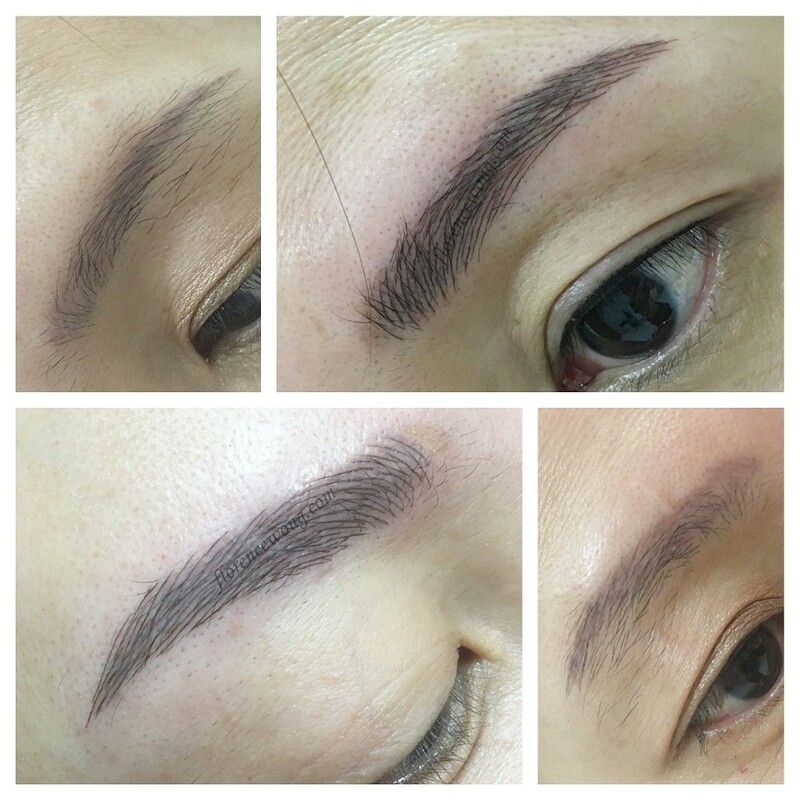 Our eyebrow master added 3D hair strokes onto her existing brow hair. With her proper care, one month after the embroidery process, the healed results are excellent. The 3D hair stroke lines are clear and complement perfectly with her original hair – thicker natural-looking brows. Thank you for taking care of my art work – the healed results after a month look as good as we wished for.